Many of you had concerns regarding the new design, so let's try to fix all these issues together and come with a better design for this community! Some people asked to update the typography but unfortunately we can't have a custom font on our network because it'd cause performances issues. All of our sites use default computer fonts (and if one don't, it'll be fixed ASAP). 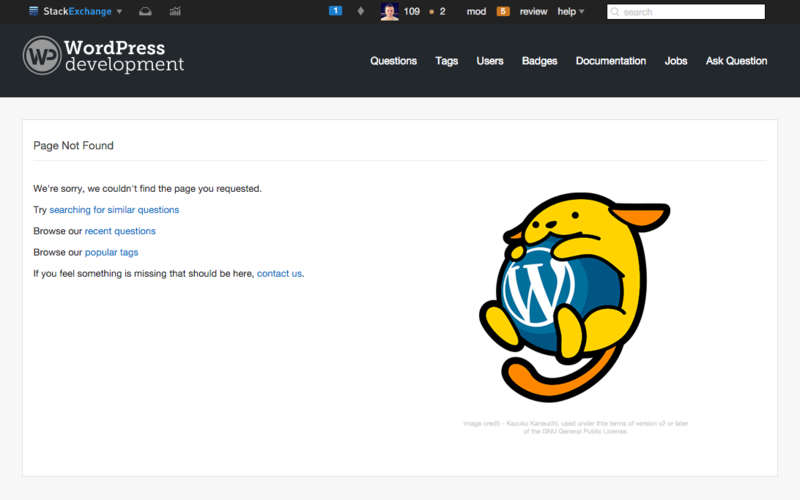 For the active navigation item, I'm using the blue that wordpress.org uses for the "download" button in the header. We have a convention to use this kind of artwork in some special pages (404, error, captcha), so we can use it here. 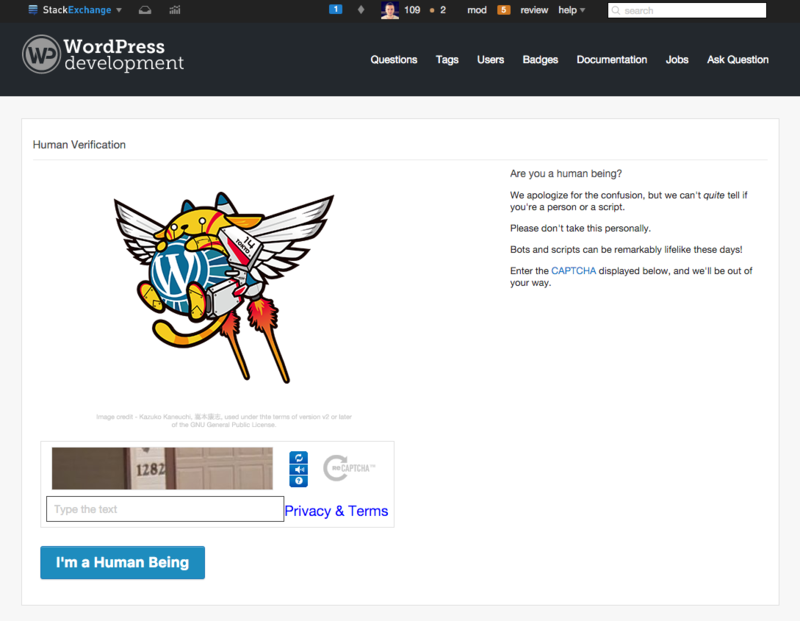 I don't think we can use it on the background as Wordpress lean toward a clean look. Thank you for listening to feedback and working with us to iterate on it. My feedback on this version. I think shade of header is a little too dark. WP org doesn't have toolbar on top like SE, it blends with it (needs divider line?). I think Tom had used a lighter shade in his tweaks. Default fonts are just fine. Overall it is improvement on previous design, especially after using it for a bit. Still not sold. It doesn't have to be nod to official WP logo. More so I'd prefer it not to be. The WP choice of abbreviation does not quite fit in first place. 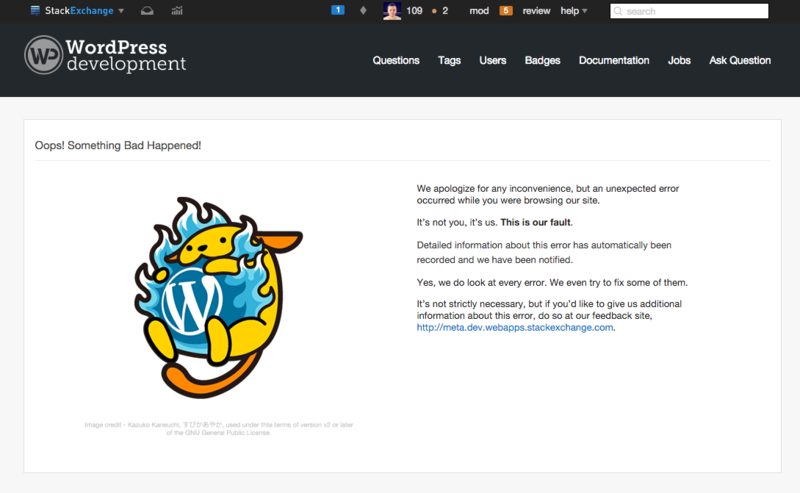 We are not WordPress project or even part of it. The previous logo had just used W, though leafy background is tied in with previous design bit too much. WD (for new Development name, though not in practical use so far). The simple option would be to keep the old W logo. Maybe with minor tweaks (get rid of background or tweak it to tie in with new design). Thanks a lot for the work on the new design with focus on speed and clarity. Thanks again for sharing and iterate with us. I see no benefits with this new logo. 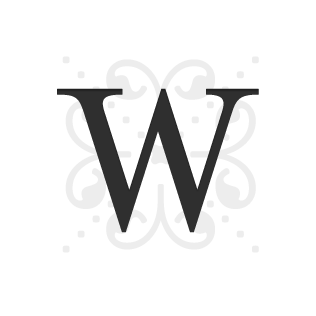 WPSE is not a WordPress project and I think, it is important to see that fast and clear. The community here is string and his name is WPSE. The common ground in my feeling is only the W in the name and that should be see at the top. Back to the old logo please. Also here, I see no benefits. Yes, currently a lot of people in the community love it. But I think a lot of users of WPSE must ask about this Wapuu, what is that, which goal. They can't the background, the bridge to the WordCamp part. I mean, the WPSE-WordPress community should represent yourself, do not hide behind the WP Community and his pats. WPSE represent the community, is currently shure a string part of the community and I think, you should see it. Only a small hint from my view. It would be helpful, if the black header include the user information and search should be fixed, short access to his functions. Should WordPress Answers be a “Solve my Specific Problem” site? Font size, color and line height usability issues with new design. UPDATE: A design update is coming! WordPress Development's updated site theme is ready for testing!